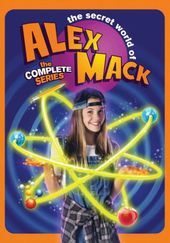 Alex Mack is an ordinary teenage girl, living with her parents, George and Barbara, and older sister, Annie, in the corporate town of Paradise Valley. While walking home after her first day of junior high school, she is nearly hit by a truck from a chemical plant, and during the incident, she is drenched with a top-secret chemical called GC-161. She soon discovers that it gave her strange powers. These include telekinesis, the ability to zap bolts of electricity from her fingers, and the capacity to morph into a mobile puddle of metallic liquid. However, her powers prove to be unpredictable (such as when her skin starts glowing brightly while she's nervous). She confides only in Annie and her best friend, Ray, choosing to keep her powers a secret from everyone else, including her parents, for fear of what the chemical plant CEO, Danielle Atron, will do to her if she finds out.